“There are lots of stories in the Bible, but all the stories are telling one Big Story. 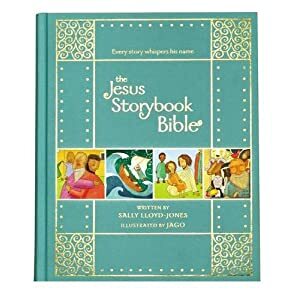 The Story of how God loves his children and comes to rescue them,” the introduction states in Sally Lloyd-Jones’s children’s book, The Jesus Storybook Bible. Originally published in 2007, this three-hundred-and-fifty-two-page clothbound gift edition targets young children from four to eight years old. With its thick cover and placement ribbon, it contains forty-four popular stories retold from the Old and New Testaments of the Holy Bible. With no violent pictures except a few scenes such as a lion baring its teeth at Daniel and Jesus crucified on a cross, it would best be read out loud to non-readers or beginner readers who like to look at pictures due to their limited reading comprehension level. With twenty-one stories from the Old Testament and twenty-three from the Old Testament, each chapter is eight to ten pages and includes colorful yet sophomoric drawings. From Creation to Revelation, the stories from the Bible are retold, showing how Jesus is the focal point. Teaching young ones about Jesus and the Bible is important, and it is best to start at a young age. I like how many stories are included. Printing some of the pages sideways or diagonally is unique and eye-catching. Some may feel the up to ten-page chapter stories are too long for a kindergartener. Others may prefer a different version of the Bible. I found the author took too much liberty adding and embellishing many of the stories to the point they were not true. Granted it is good to teach young ones Bible stories, but they should be as accurate as possible to the Word of God. Another concern I had was that there was no clearly stated plan of salvation (we all sin; Christ shed His blood on the cross for our sins, and He rose again). The author of several children’s inspirational, Christian, and picture books, Lloyd-Jones has lived in Africa and England and now resides in New York. Jago lives in England with his wife and two children. As I mentioned, I wish the stories were more precise to Scripture and gave a simplistic plan of eternal salvation. I prefer that all pronouns of God are capitalized for reverence. It would be helpful to capitalize the chapter titles properly. If you are a new Christian who is unsure of what stories are in the Bible and want to read them to your child, this may be a good book for you, but please be careful as it is not entirely accurate to God’s Word. 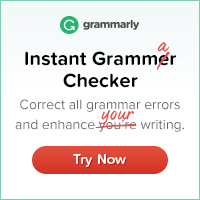 It is a nice presentation with erroneous content. Thanks to Z Blog Squad for this complimentary book that I am freely reviewing. This review will be posted on DeeperShopping and Amazon with links on Bookfun.org, Godinterest, Pinterest, LinkedIn, Twitter, and Google+. Big problem starts already in the introduction of that book. Confusing God with Christ, the son of God, a major problem by lots of Christian denominations. It is not bad to have children Bibles, but parents should look at it that they make sure when they bring only New Testament stories about what Jesus did and told, it is made clear that it was Jesus doing or saying those things. In the text it should be made clear also when Jesus is doing something and when it is God doing something. When it is not clear in the publication parents should make it clear that Jesus could do nothing without God, Jesus his heavenly Father. Good also to find the warning to ” be careful as it is not entirely accurate to God’s Word.” Why should one bring “erroneous content” or incorrect or inaccurate material in front of kids to bring them a religious foundation or to give them an insight of a religious thought or of a presented way of life? There are enough good children’s Bibles which present the Word of God in simple language or give a short overview of many beautiful and constructive bible stories. Those would be better bought and used at bed time to enlighten the kids and to feed them with good spiritual food before going to sleep. I so agree with you! Thanks for your detailed post!